Why are you sorry that I crap my pants? That sign belongs on a pay toilet. 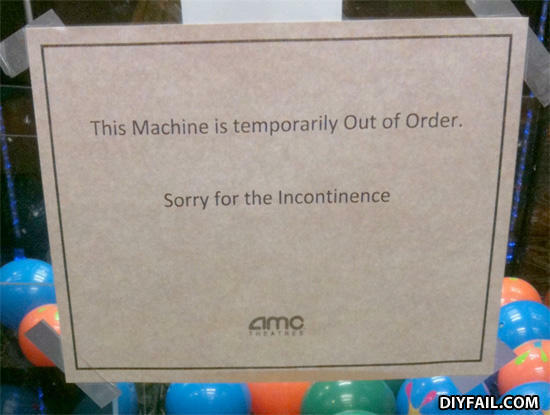 you are out of order! The whole freaking system is out of order! Yeah, but isn't it a pretty FAIL?? Lmfnao! I got fired from AMC!